So like all girls I have a love/hate relationship with my hair. People always say when you have straight hair you want curly and when you have curly hair you want straight . . . sometimes you just want a happy medium. Introducing the label.m Advanced Pro Triple Barrel Waver 25mm from the official haircare product of the London Fashion Week. The label.m Advanced Pro Triple Barrel Waver 25mm has been designed to create soft and natural salon perfect waves every time, think beach babe but less windswept. The Tourmaline Ceramic Technology ensures heat is evenly distributed whilst transmitting negative ION’s to smooth the hair fibre resulting in a salon perfect frizz free finish. 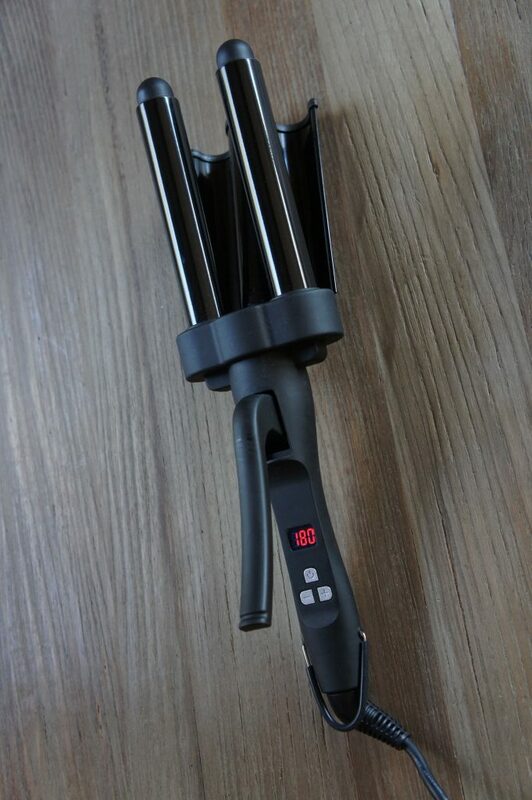 Now as a blonde it’s important not to over process ones hair in the fear of breakage so being able to set the temperature on the Waver is brilliant! 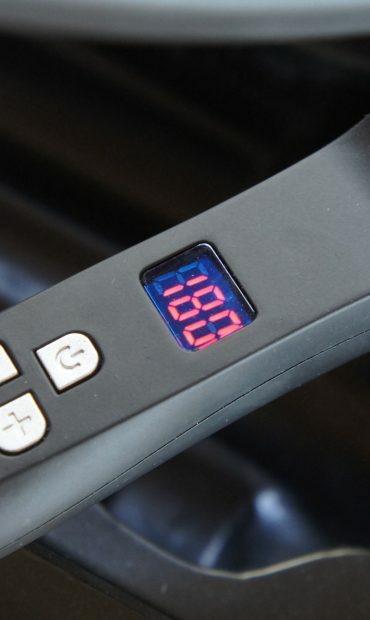 The waver heats to a maximum temperature of 220°C and using the LCD display you can clearly see the actual barrel temperature as they heat meaning you will always know the level of heat applied to your hair. GENIUS! 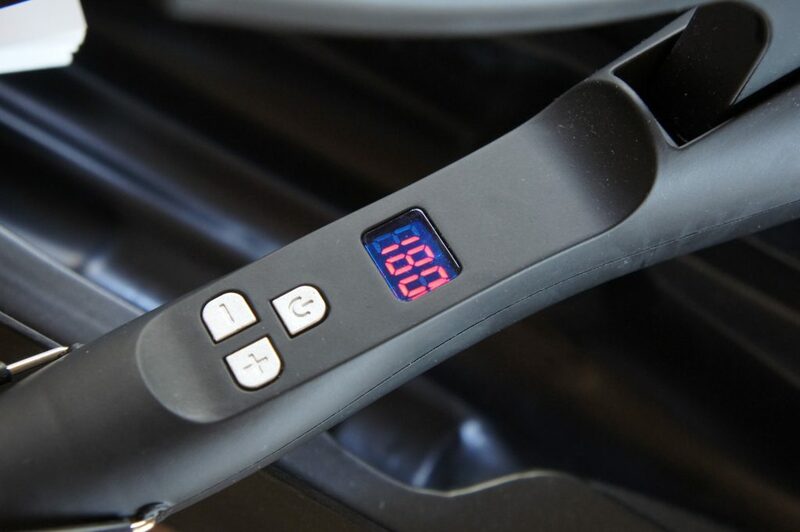 And if that was not enough the ‘Express heat up’ technology means the waver is ready to use in a matter of seconds! 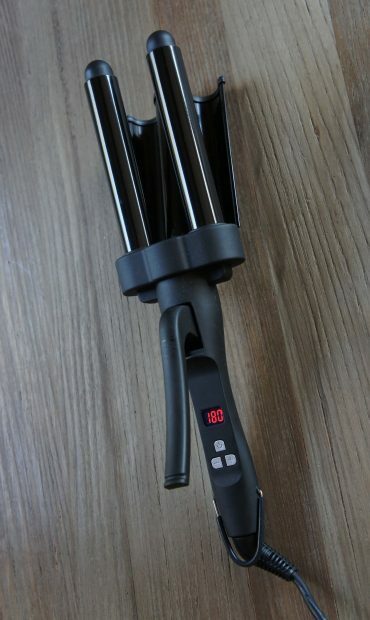 The wide barrels of the Waver means you can wave your hair in a matter of minutes, my hair is mid to long in length and by sectioning the hair up and waving each part in turn I am done in under 5 minutes making this hair tool a dam site easier to use than tongs or curlers! 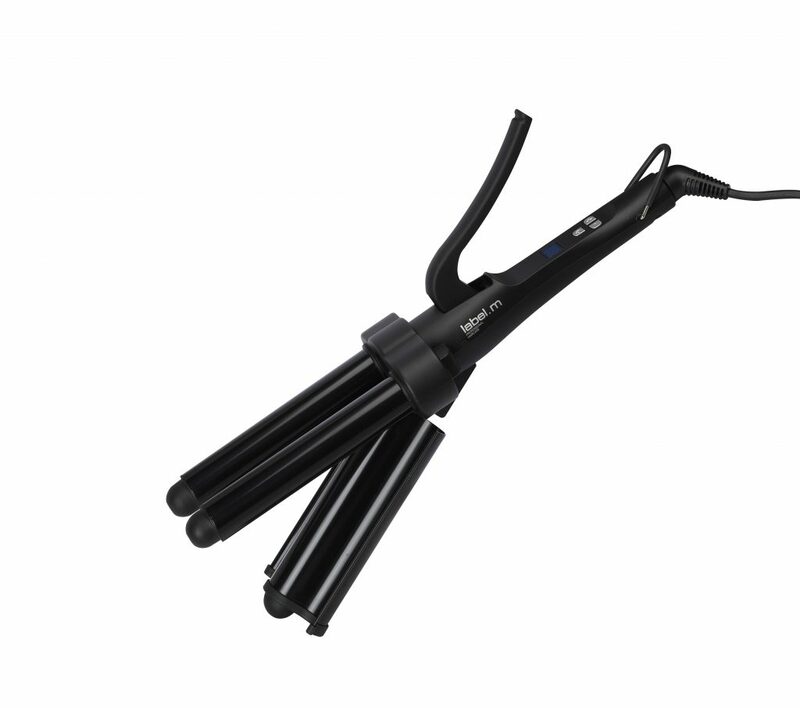 Added features of this Waver include a ready light, a locking mechanism handy for travel, 360° 3 metre swivel cord, cool tip, rubber coated soft touch handle, dual voltage and EU Adapter plug. Since acquiring this product I have taken it everywhere with me including the wilds of Lapland in Finland, it is so easy to use and the results are so striking it might be time to bin those tongs and curling wands. 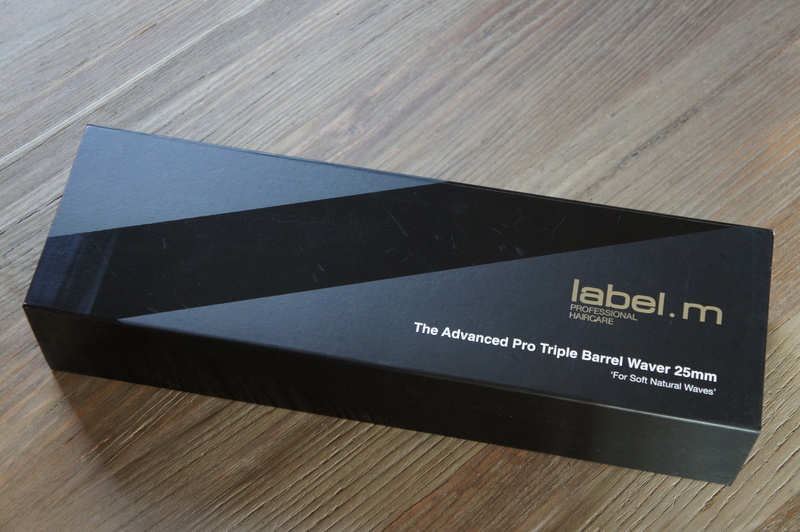 If you are looking for something to change your appearance in a matter of minutes and does not require the expertise of a trained hairdresser then the label.m Advanced Pro Triple Barrel Waver 25mm is the tool for you! In all honesty I am quite obsessed with mine to the point I forgot what I look like with straight hair! 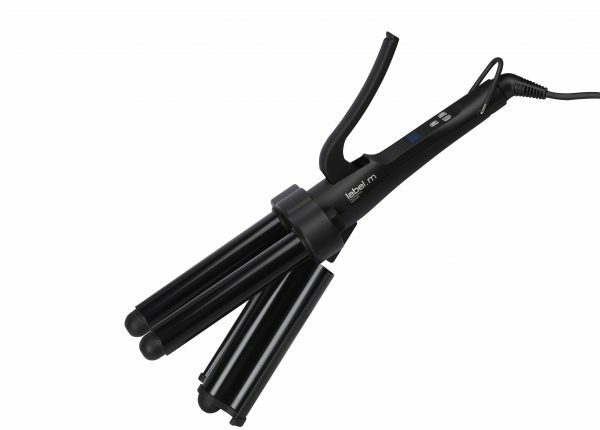 The label.m Advanced Pro Triple Barrel Waver 25mm is available online and at TONI&GUY, essensuals and label.m Concept Salons.